“Paint it Black” is like no other song ever recorded. When the big book of musical influences is written a century from now, the tangle of eastern and western music coupled with world dance and drum rhythms will be unraveled and tales told. The song is arguably about the funeral of a lover, family member or friend. The line of cars can certainly be read as a funeral procession. It is just as likely the singer is being left by his girl. At its inception, "Paint It Black" was a blues number in a “funky rhythm” (see Keith's comments below), and was gradually built up into a spicy timbale of sounds. The sitar, played by Brian Jones, evokes every culture from India through Persia, Syria and Egypt to Turkey then west and north to Greece and Balkans’ gypsy music. Misleading though use of the term may be in this instance, “Paint It Black” is called psychedelic music; it is clearly a trip. At the same time the song is reminiscent of The Rolling Stones’ version of the Buddy Holly classic “Not Fade Away.” Keith is particularly loquacious concerning “Paint It Black,” which all The Stones knew after its recording would be a breakthrough hit. It reached #1. More importantly it pushed new creative boundaries. This was the period in the mid-60s when The Beatles jumped and all other groups needed to react and prove their ability to expand, improvise and grow or be left in the dust by the Fab Four. This song was one Stones’ response. The sitar does transform the song into a giant accomplishment. It is more rhythmic and driving than a standard acoustic guitar. The exotic instrument adds a headlong pacing that draws mind-pictures of Tartars crossing the steppe on their semi-wild horses; belly dancing; Israeli Klezmer; the folk dance music of the Aegean, Ikariotikos; Byzantine soldiers howling at their outposts nine centuries ago; Egyptian dervishes; casbahs and the Silk Road. Jagger’s vocals begin on a subdued, haunted plane and eventually work up into a frenzy that equals the hoof-pounding musical accompaniment. He interprets his own offbeat lyrics convincingly. It is a song about a manic episode over – what else? – a girl he’s lost. That loss prompts him to want everything painted black. Or maybe there is no choice. Everything is turning black. In back of Jagger we hear a humming that only adds to the sense of disorientation and “foreignness” of “Paint It Black.” A word should be said about the rhythm section of the song. Drummer Charlie Watts works at his usual high level of craftsmanship, and in a song with countless moving parts he is commendably unobtrusive yet still forces the music forward. He effortlessly mashes up western-style Rock drumming with the Middle Eastern desert sub-beats. Jagger grabbed the second line from James Joyce’s Ulysses, slightly altering it by adding “have to,” so the line scans properly in song. Another cultural aside: Jagger was inspired by the art and philosophy of painter Ad Reinhardt, (at left in his studio), who went through a “black” period. Whether directly stated or not, the summer girls always show up in Beach Boys songs, the great font of all girls of all summers. The convention of “summer clothes” or “summer dress” has left fingerprints all over Rock and more generic Pop. Jagger and company turn the phrase on its ear. The singer/narrator has to look away, so complete is his “black” mood. As time and new ideas altered the Stones’ trajectory, “Paint It Black” lost the aura of “the new.” Bigger, more elaborate instrumentation and production shot the group into immortality. The song still strikes a sea-deep chord, though. Its innovative rhythms and lyrics keep it high on the list of great Rock songs. It has been used in countless videos about war. 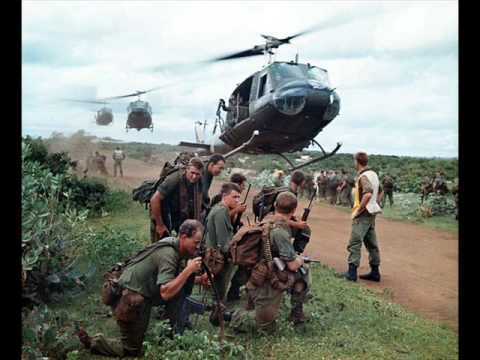 It will forever remain wedded to the bloody, pointless Vietnam War that began the great divisiveness America still experiences now. It goes hand in glove with almost any film or video about war, whirling crazy out of control as the tone and tempo are. 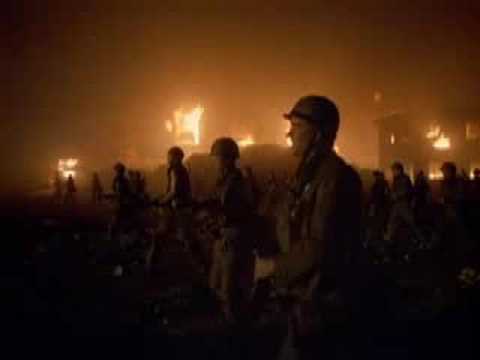 “Paint It Black” plays under the closing credits of Full Metal Jacket, Stanley Kubrick’s masterpiece about the Vietnam War that was fought in Asia, and in America in every home, every bar, every college and street. It echoes a time that was doubtlessly painted very black, a time that has yet to be reconciled and wounds yet to be healed. Jack Nitzche plays piano on “Paint It Black.” He worked extensively on creating the Wall Of Sound with Phil Spector. He worked on five Stones albums in all. His memorable piano playing is instantly recognizable on “Let’s Spend The Night Together.” He also played piano on three of Neil Young’s greatest albums with Crazy Horse: After The Goldrush, Harvest and Tonight’s The Night. He provides a dread-filled slide guitar to “Sister Morphine” on the Stones’ Sticky Fingers album. It speaks of evil.